StPeteDesign has made a -FREE- all in one, easy and efficient multi-level GPS tracking software platform that combines the power and reliability of Google Maps paired with Android on your phone. Our software is based on Nick Fox’s extremely popular GPS Tracker software. This is based on the most reliable and most downloaded (over 5 million downloads) GPS tracking software made for WordPress. Get Our FREE Custom GPS Tracking WordPress Plugin! We are proud to announce that we have released our GPS Plotter software through the WordPress repository. This video explains how to download and use GPS Plotter. All of this without the need for expensive, bulky equipment that comes with extremely high maintenance costs. We have designed the GPS tracking software specifically for WordPress sites and WordPress Developers in mind. Don’t worry though because anybody with basic knowledge of WordPress will be able to install this GPS tracking software. Once you install and activate this plugin, you add the shortcode to any page or post that you want. Then. just add the URL for that page into the free android app and start tracking your GPS coordinates. Our Free GPS Plotter for your business. With our software, you will be able to receive location updates from your fleet at intervals of your choice. You have the ability to choose between every 20 seconds, 1 minute or 5 minutes. You will also receive information relevant to your employees driving habits. That info is invaluable to you as an owner. You will be able to see all of your driver’s locations and routes in real time. This software was also created so that your customers are able to log onto a secure page on your website and see for themselves where their driver is. The customer can see the driver’s location in real time. At that point, they will be able to estimate the time of arrival for their delivery! No more calling the rep and making him take time out of his day to make multiple calls, just to figure out where the delivery truck is and how long until it gets to the customer. First, you download and install the WordPress plugin on your site. Then download our Android app. We have links to the play store at the bottom of this page. That’s it! Now you’re ready to go. Simply enter a username and the WordPress website that you installed the plug-in on. It’s that easy. We also provide the highest quality support for not only our GPS tracking software but also for all of our software. Don’t forget, StPeteDesign provides Custom WordPress Software and Web Development work for all your needs. We appreciate all feedback and ideas. This is how our custom WordPress software works. Once the GPS page loads for the first time. It will load all of the previous GPS locations. It will also display the most recent location of all active users. The red icon on Google Maps is the most current GPS location in the database that you’ve created. When all of your company trucks are out actively running their routes making their deliveries. You and your customers (who you give access) will have the ability to look at the location of all of your trucks current location or only their trucks’ current location. You have the ability to update your GPS Tracker location up to every 20 seconds if you want. Then if you need to find out where a single trucks current location is or has been. All you have to do is click on one of the markers or select a route from the drop-down box directly under the Google map. Either one of these options will work perfectly. This is when you will be shown just that specific trucks route and all of its Gps data for the entire day. At this point, if you click on the “View All” button, you will again have the ability to see all of your vehicles. Also when you click on the “AutoRefresh” button, you will be able to view all of your vehicles in real time every 20 seconds if you want. Our custom GPS Plotter Software for WordPress is better. The unique and innovative idea here is that your customers are able to find their truck/delivery when they log on to your website and know exactly where it is in real time. Then they can estimate when their delivery is going to show up. Imagine how much time this will save for your customer service reps. Also how appreciative your customers will be by allowing them a way to see where their delivery is while in route. If that was not enough. Our entire system is designed from the ground up to function as good as anything else on the market, without the need for expensive, bulky equipment with extremely high maintenance costs. Not only is it less maintenance… it’s FREE! All you need for this GPS Tracker software to work is 1. the computer you are reading this web page on and 2. a smartphone or tablet that you can use to download one of our Android or iOS apps. THAT’S IT! Both of our apps are available right now for download in the PLAY Store for FREE. Just type GPS Plotter for WordPress in the search bar inside the app store. We have made our GPS tracking software available for a FREE! As a free download on this page. With the amazing ability and flexibility of this GPS tracker software. It can reduce or even eliminate “hidden” expenses. Expenses and costs that will have a huge dollar for dollar impact on your bottom line. This software is also completely scalable. You can use our GPS tracker system with just 1 vehicle or 100 vehicles. It is completely up to you and what your business needs dictate at that time. Then you have the option to allow our GPS tracker software expand and grow with your business. One step at a time. Make sure to read below for step by step how to download and setup the WordPress Plugin and the Android app! 1- Click on the GPS Plotter Download below to download the zip file to your computer. 2- Navigate to the WP – admin area of your website and click on plug-ins. 3- Upload the GPS Plotter zip file to your WordPress site. 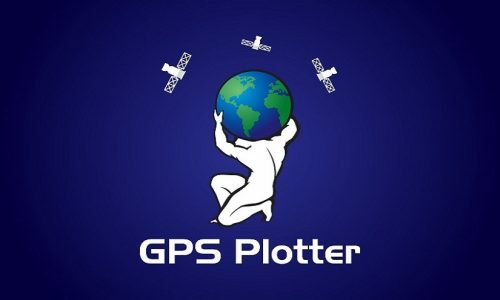 4- Activate the GPS Plotter plugin. 5- Go to the settings option in the left sidebar and click on the GPS Plotter menu page. 6- Follow the directions in the GPS Plotter menu admin page so that you can activate your Google maps API key. 2. Download the app onto your device. 3. Enter any username that you chose. 4. Enter your website URL that you installed the plugin on. 5. Press the – ON – button on your device. 6. Check your web page for your GPS location info.